Two witnesses from the same California school district told the court in Vergara vs. California today that collaborative efforts have enabled the district to deal smoothly with ineffective teachers without constrictions from the laws at issue in the case. Shannan Brown, the head of the San Juan Unified School District’s teachers union, and Elizabeth Davies, an assistant superintendent for elementary schools, described programs and protocols that helped teachers overcome the outside influences of drugs, gangs and lack of parental supervision that undermine student achievement. Together, theirs was more testimony in support of the defendants’ position that well-managed schools can overcome state laws that plaintiffs argue protect ineffective teachers and deny California students a quality education. The case has been brought by nine students against the state, with the California Teachers Association and the California Federation of Teachers joining the defense. The lawsuit focuses on five California statutes that govern tenure, dismissal and seniority as a criterion for layoffs. The defense contends there are a number of factors, besides the contested laws, that affect students’ ability to gain an effective education. Brown testified that many of the students in her school district lack food, clothing and parental supervision and are often subjected to violence on a daily basis, all of which impacts teacher effectiveness. Brown also testified that the teachers union and the district have worked together to address these problems and have implemented programs in low-income schools to improve student learning. One such program, “Capacity Building,” she said, allows for more teacher leadership, feedback and observation. The results, she explained, have led to a more focused and calmer school culture with greater emphasis on student learning. Davies added, “We put our strongest principals” at lower-income schools, and provide additional funding to reduce class size and target student needs. She also testified that 18 months was a sufficient time to decide whether to grant tenure to new teachers — a period that the plaintiffs are arguing is much too short. Davies attributed that to a well-organized evaluation system that also included determining whether teachers were adhering to the California teaching standards. 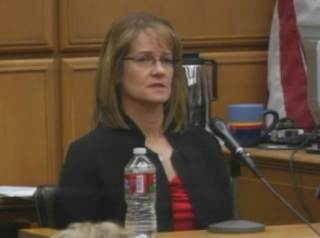 Another defense witness, Peggy Raun-Linde, former principal at Fremont High School in Sunnyvale, also testified that the statutory time period was sufficient for making tenure decisions. By observing teachers in the classroom, and maintaining a detailed evaluation system beginning at the start of each school year, Raun-Linde testified there was enough time to determine whether teachers should be granted tenure. On cross examination, plaintiffs’ lawyers reprised the same point they have used with other witnesses who extol strategies to blunt teacher ineffectiveness by pointing out that whatever they do, the achievement gap between white and minority students remains. In the case of the San Juan district, Marcellus McRae asserted that in 2012 the Academic Performance Index gap between white and African American students was about 130 points and the gap between whites and Latino students was about 100 points. Likewise, Josh Lipshutz called attention to the API gap of nearly 200 points between white and Latino students at Fremont High School during Raun-Linde’s last year as principal in 2009 and that in each of her six years in the job, the gap was never less than 170 points. Previous posts: Three more witnesses in Vergara v California say collaboration works; Vergara witness says district, teachers in San Diego worked together; Teacher in Vergara v California denies that she was ineffective.